Glitz. Glamour. Shiny.Expensive.Things. Nope, it wasn’t the Academy Awards. 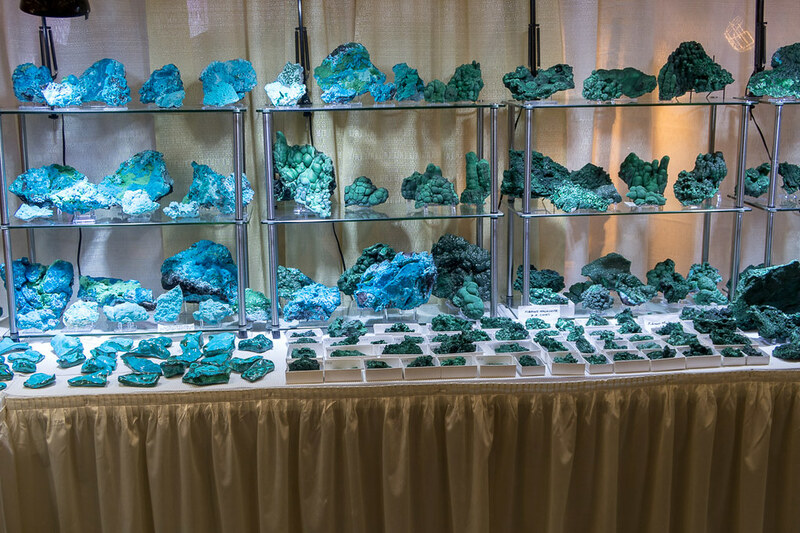 It was the Tucson Gem and Mineral Show. 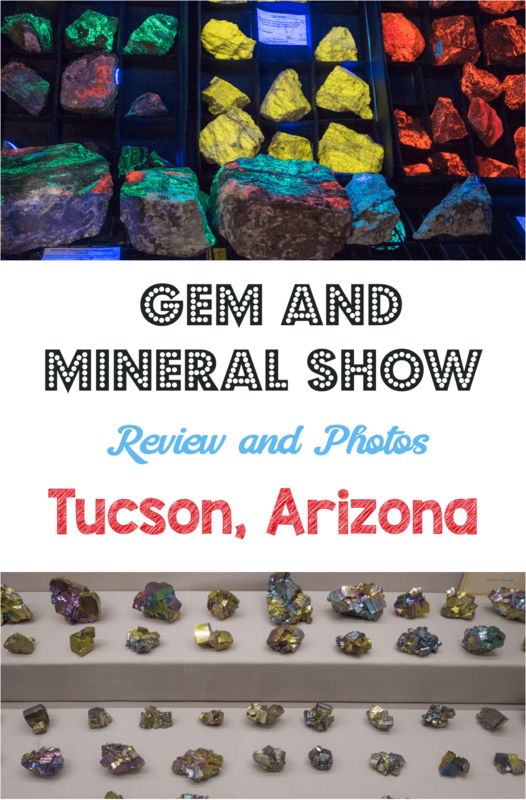 It was a relatively last minute addition to our Tucson itinerary, but it was also a fun stop, so I thought I’d share a review and some photos of the show! 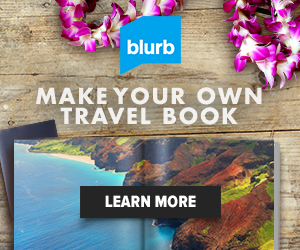 A few days before departing on our trip to Tucson, Ken ventured onto the Tucson tourism website to see if there were any fun events during our long weekend trip. And sure enough, there was! 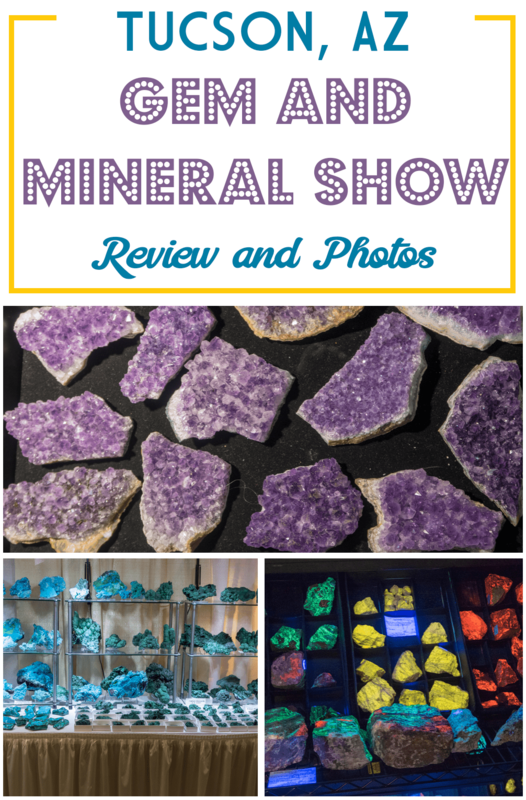 Touted as the “Super Bowl” of gem and mineral shows, this was a fun stop on our way back from the Titan Missile Museum and Mission San Xavier. We got to the convention center, paid for parking, and then paid for our tickets to enter the show. 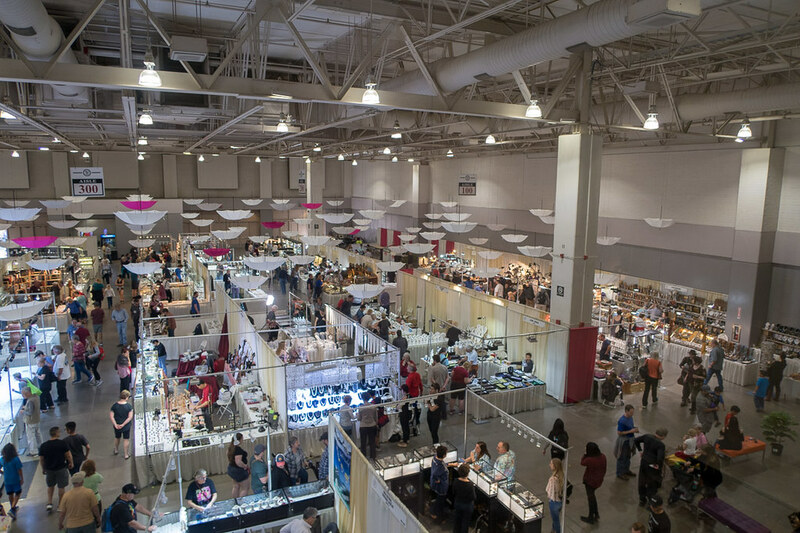 Before going down the escalators, we could see row after row of gem and mineral vendors filling the convention center. 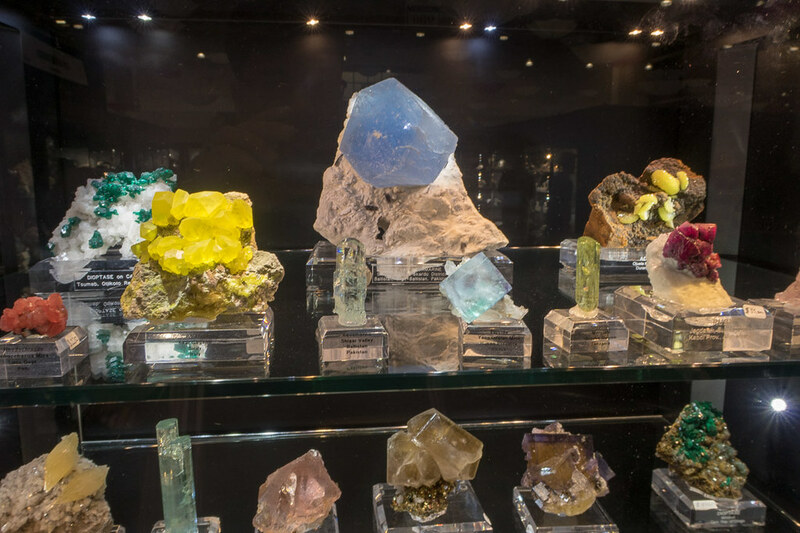 There were huge minerals. 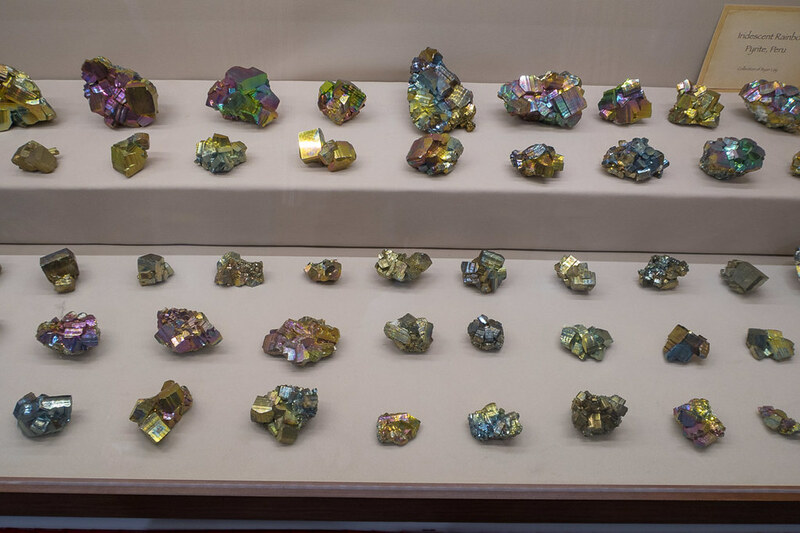 Teeny tiny minerals. 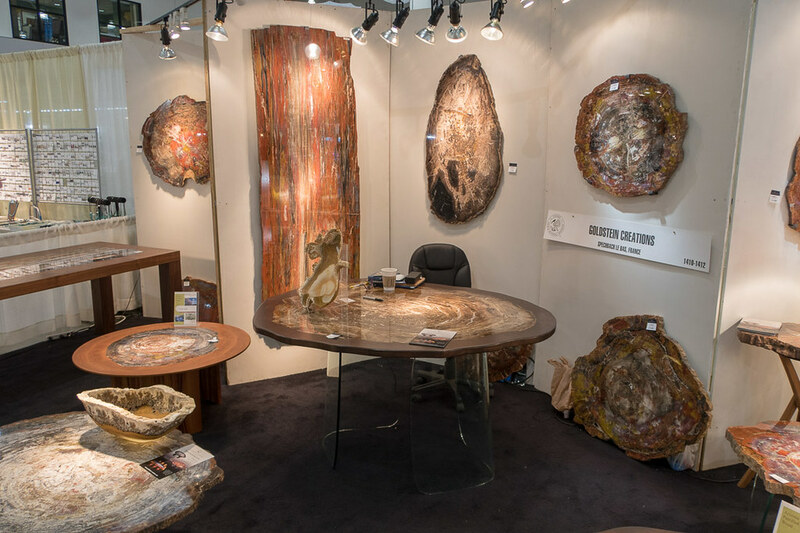 Furniture made out of minerals. 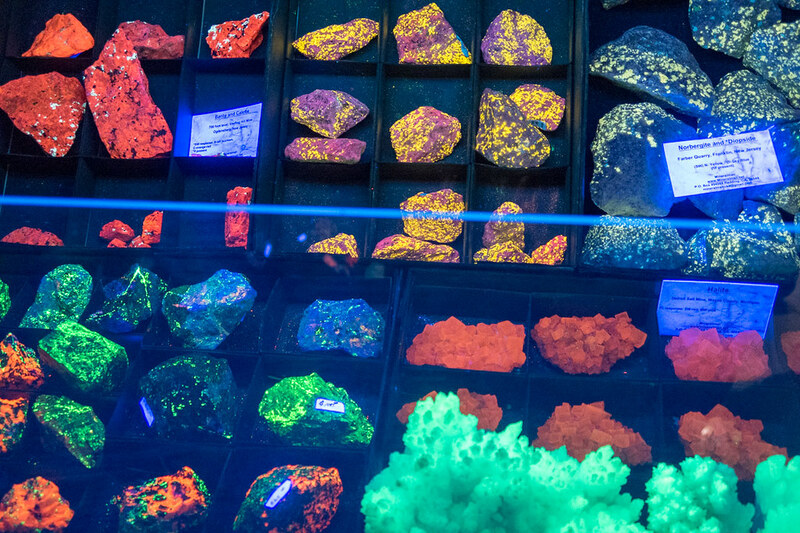 Uniquely colored minerals (periwinkle anybody? 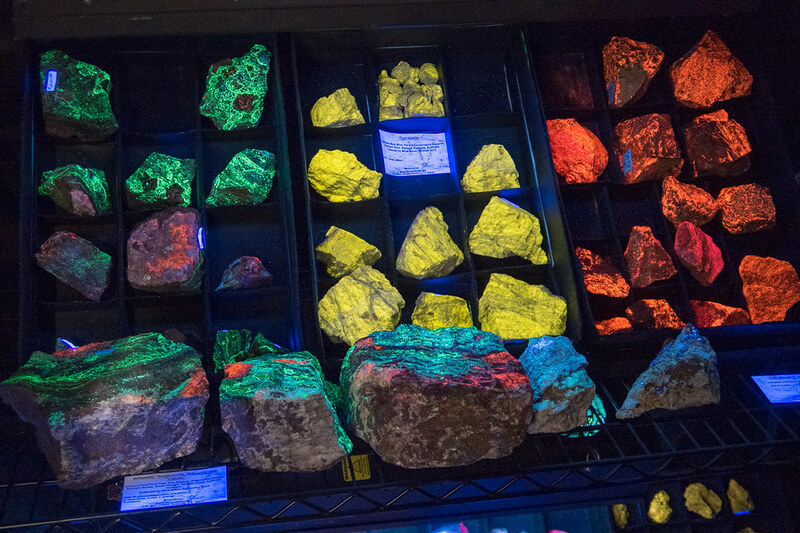 ), and even minerals that glowed in blacklight. One common theme? Gems and minerals are a lot more expensive than what I ever thought! 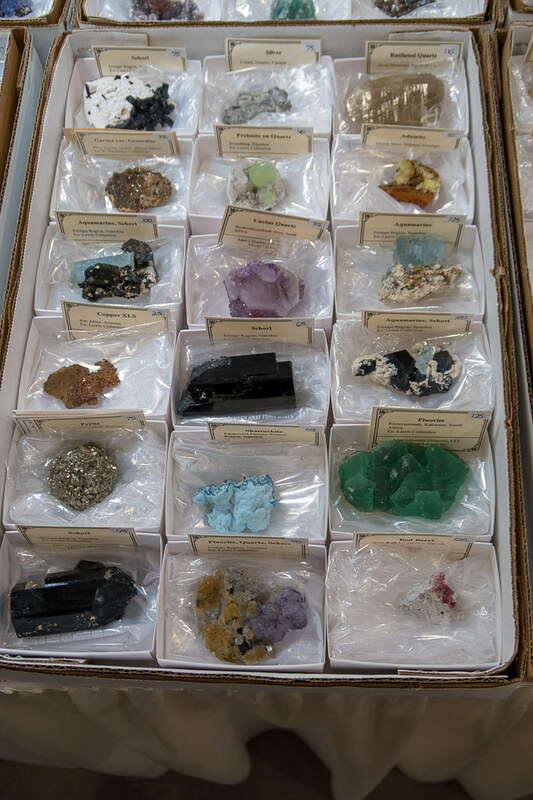 Ultimately, we made four purchases of small gems and minerals, definitely making our luggage heavier for our return trip! We bought an amethyst (my birthstone! 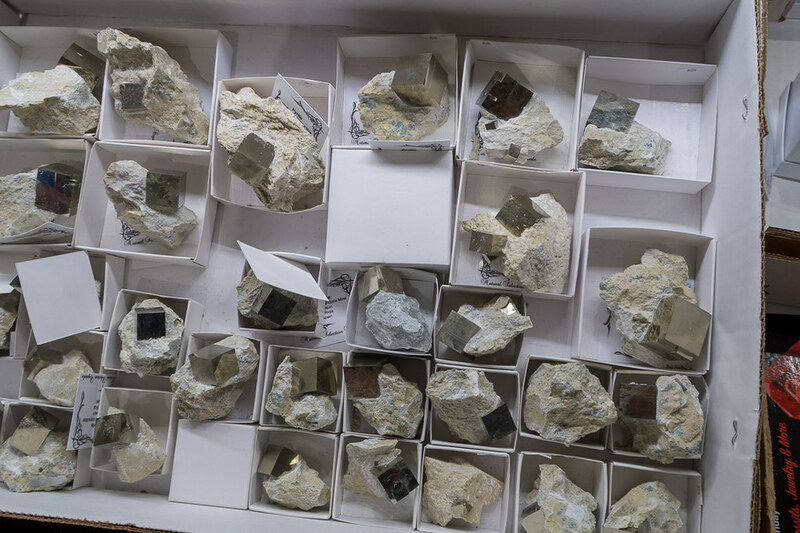 ), agate, and two types of pyrite, including one that has an amazing perfect-looking cube! Each thing we bought came with little informational cards, which is nice to know the background for each of them. We keep them on our shelves in our living room along with our other travel-related souvenirs. 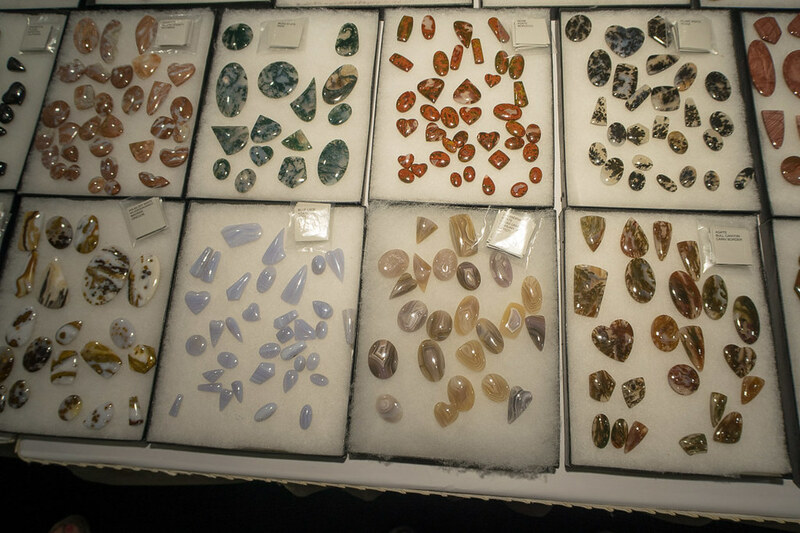 All told, we probably walked around the Gem show for about two hours or so. 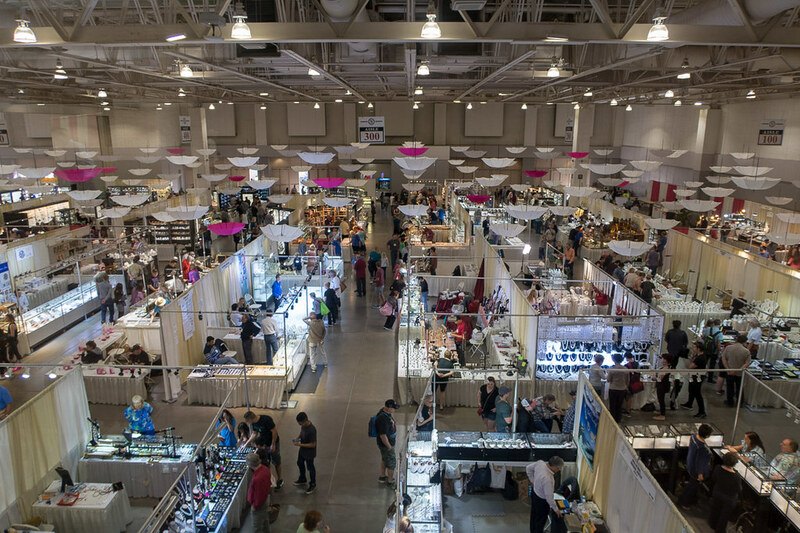 The vendors were super friendly and helpful. It was also amazing to see how far some of them traveled to come to the show, like from Eastern Europe and Asia! It was fun listening to the vendors talk to one another. 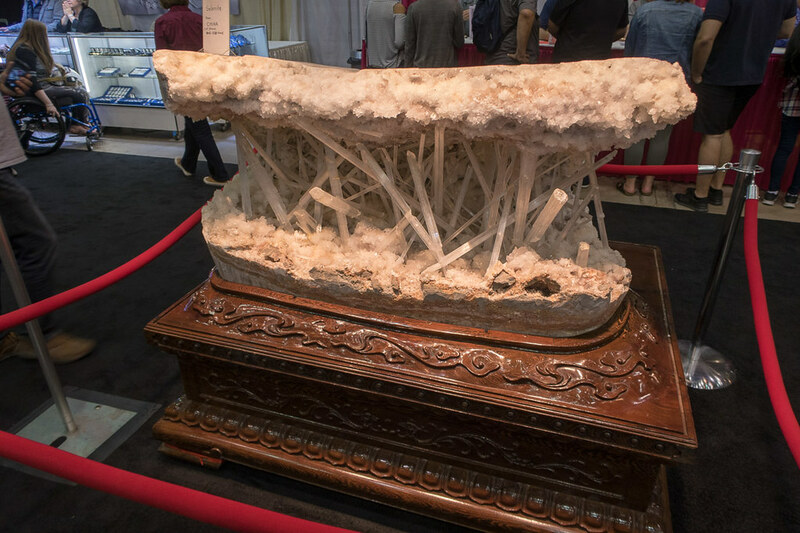 They clearly are passionate about gems and minerals, so it was amazing to watch people get so excited talking to each other about unique finds! All told, this was a fun stop during our trip to Tucson. If you have the chance to check it out some time, I’d definitely recommend it. 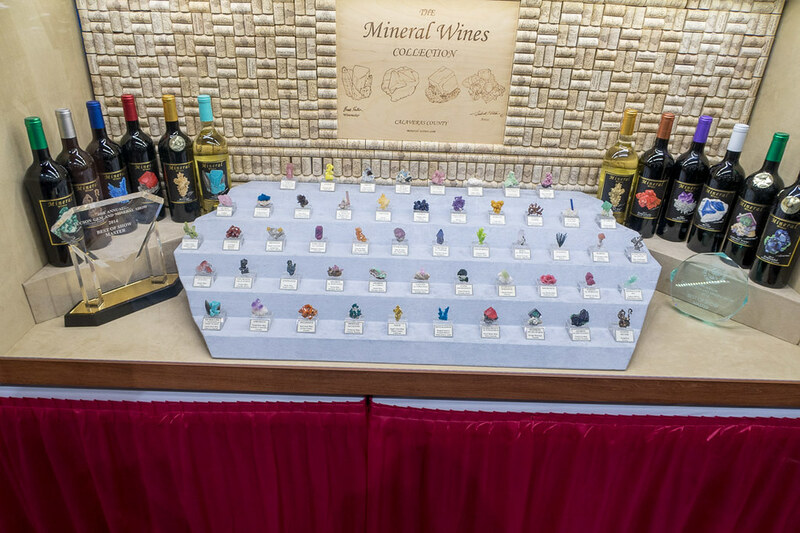 Interested in buying gems like these but can’t make it to a gem and mineral show? 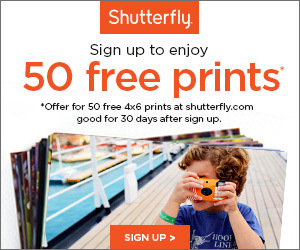 Check out Etsy! 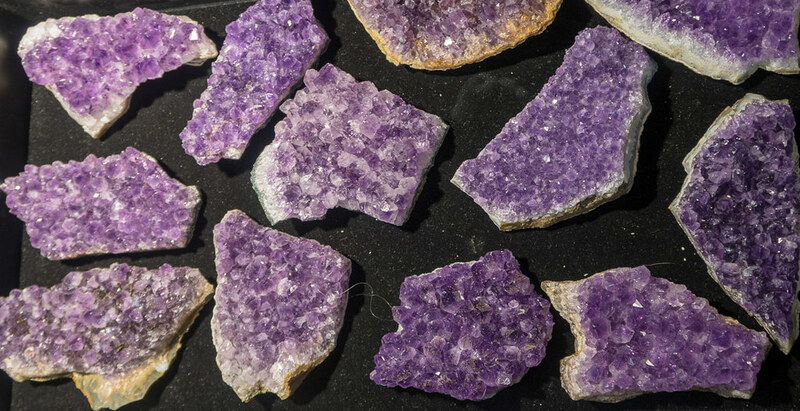 This amethyst, for example, looks very similar to ours. 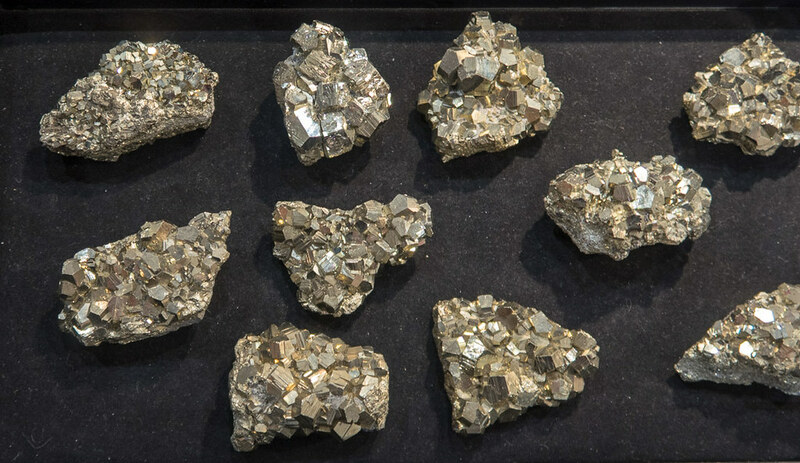 Likewise, these pyrite cubes look similar too. 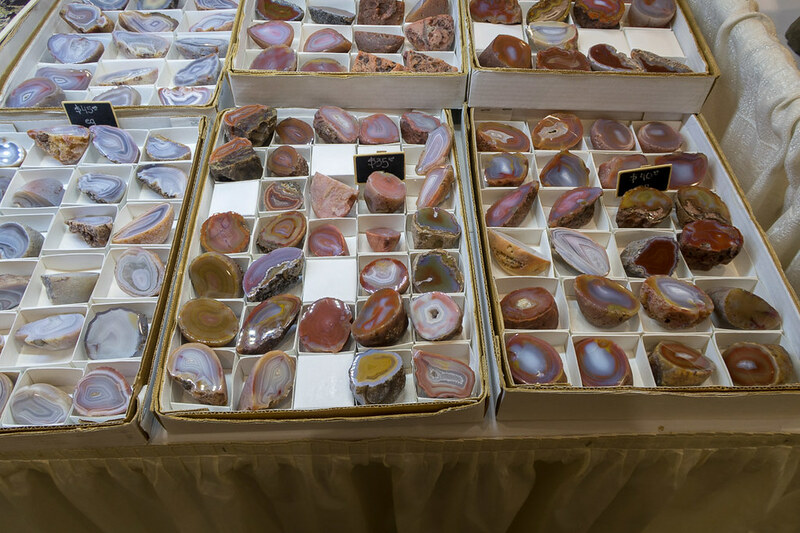 There are also tons of agate items on Etsy too! 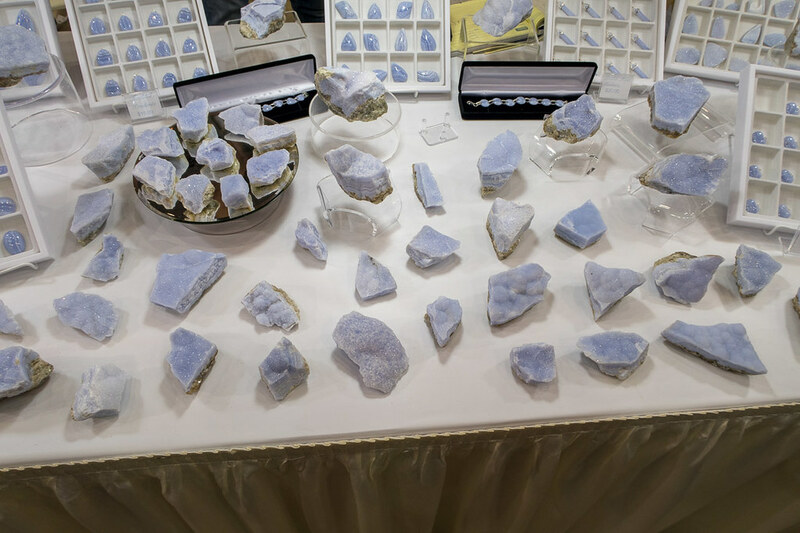 Have you ever attended a Gem and Mineral Show? Or come across a unique event in a place you were traveling to that you didn’t know about?